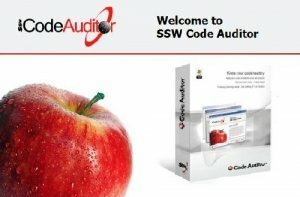 Automate your Code Reviews with SSW Code Auditor. As a project or company grows, managing code standards throughout your team becomes virtually impossible. But consistent code is crucial to future development and maintenance. Built in C#, SSW Code Auditor lets you take control of your code and automatically review your web apps and projects – giving you more opportunity to spend time where it really matters. – Scan websites for HTML that violates your rules – including the information served by the web server! – Full scheduling abilities with email alerts, providing regular automated checks on your code base.